A campaign targeting speeding motorists in Surrey is featuring a poster of a young girl in tears. 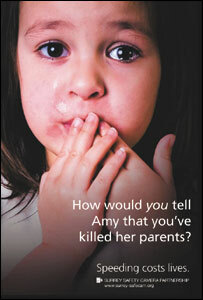 The campaign poster asks drivers how they would tell the girl, Amy, that they had killed her parents. The Surrey Safety Camera Partnership said the safety campaign, aimed at cutting speeding, was set to run until the end of November. Posters have been displayed on buses across the county and in businesses, libraries, hospitals and surgeries. 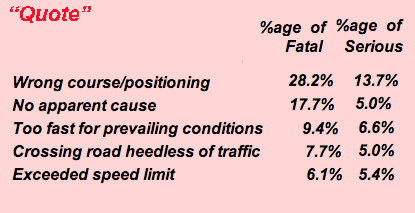 However the latest figures published by the Surrey Police do not stack up in favour of targeting speeders, but instead appear to support the targeting of incompetent drivers, however, you can’t do that with speed cameras, so they probably won’t bother.